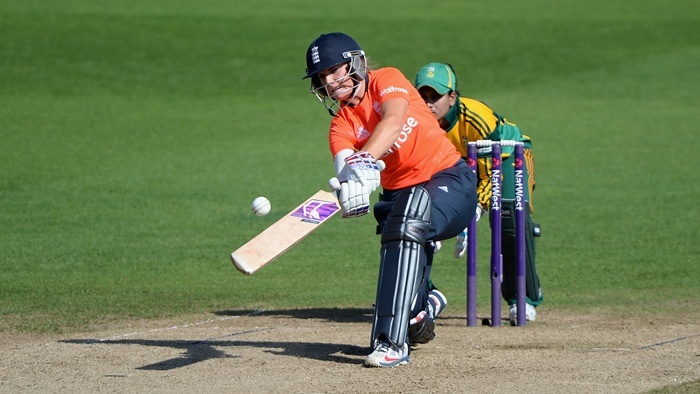 The England and Wales Cricket Board (ECB) today announced a 14-player England Women’s Academy (EWA) squad to play four 50-over matches and two Twenty20s against their Australian equivalents – the Commonwealth Bank Shooting Stars – in the UAE next month. 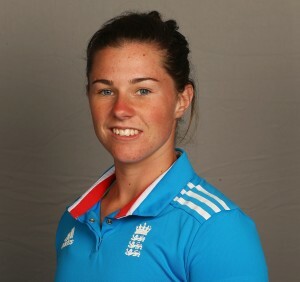 Kent’s Tammy Beaumont will lead an experienced EWA touring party, which includes Lauren Winfield (Yorkshire) and Amy Jones (Warwickshire) fresh from England women’s successful tour to New Zealand last month, alongside the likes of 2014 Women’s Ashes winners Georgia Elwiss (Sussex) and Natasha Farrant (Kent). 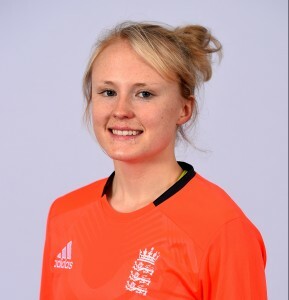 In addition to the players targeting a permanent spot in the England women’s team, the EWA squad for Dubai also includes five exciting prospects, who will be looking to make a positive impression: Staffordshire duo Stephanie Butler and Evelyn Jones, leg-spinner Alex Hartley (Middlesex), all-rounder Alex MacDonald (Gloucestershire) and Somerset’s Sophie Luff. 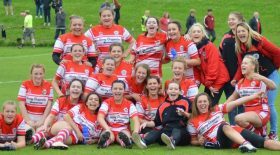 EWA Head Coach, Lisa Keightley will oversee the two-week long tour from March 30 – April 13, with England Women’s Assistant Coach and former England cricketer, David Capel, providing further coaching support to the players. The entire series will be played at the ICC Academy in Dubai, with the four 50-over matches being played on April 2, 4, 6 and 8, followed by the two Twenty20s on April 11 and 12. Photo above shows Lauren Winfield batting against South Africa.